Blogging about Berlin got me thinking about other trips I have been on in the last few years. My visit to Vienna last June instantly came to mind. The city was incredible, I have never seen a place so packed full of beautiful ornate architecture. We were lucky enough to be staying a short distance away from the MuseumsQuartier. This became my favourite place, each morning we would take a stroll down to the area and explore a different exhibition or gallery. 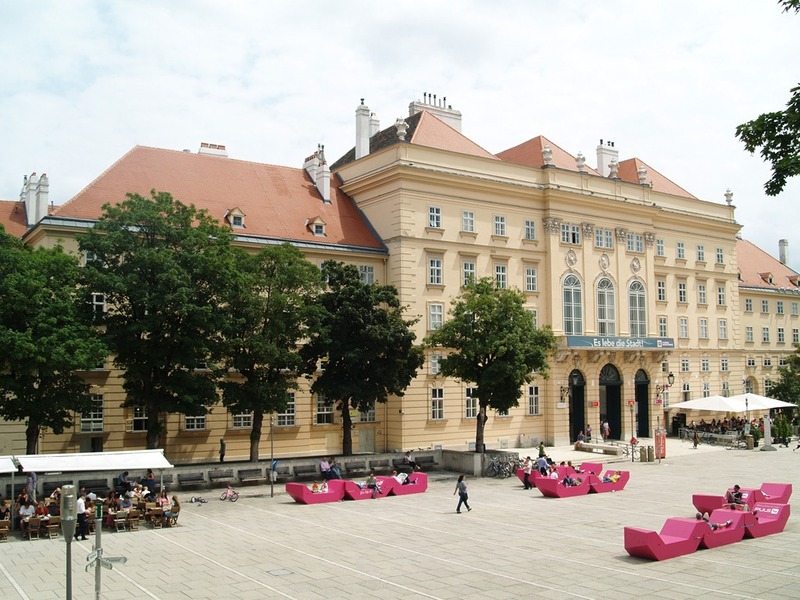 The images below show the courtyard space at the heart artistic region of the quarter. We were lucky enough to have brilliant weather so could spend a lot of time out in this space. These benches in the courtyard are a brilliant addition. In my research I discovered that the benches are a regular feature of the space but that they often appear in different formations and each year change colour. Flipped over, the same pieces could be used as tables, incorporated into cafes as serving tables or used by school parties for art activities. Lounging in the sun in these was fantastic. People watching, planning the day ahead or simply discussing what we had seen. The space was incredibly social, people happy to share the seats and as places became available they were instantly occupied by someone new. The courtyard itself is surrounded by a number of art museums, all of different architectural styles and containing different types of art. 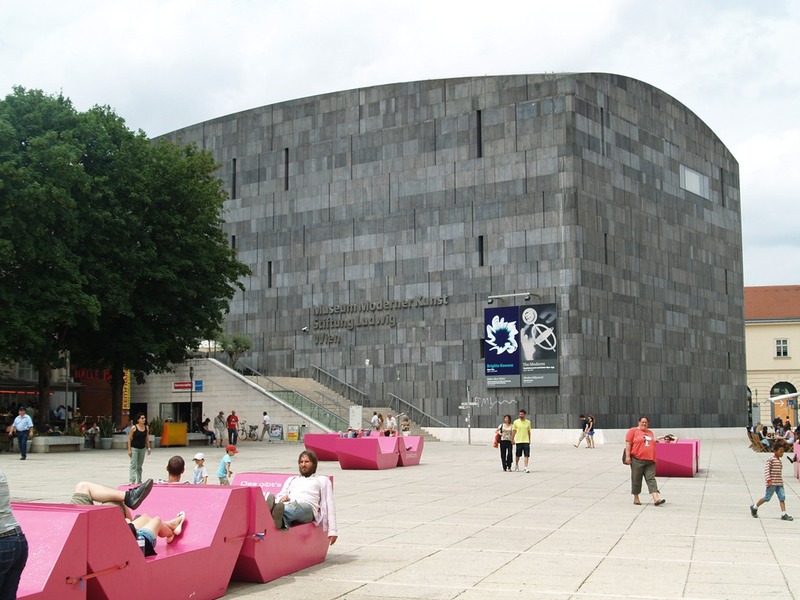 For more information about the MuseumsQuartier click here.